"Don't Take Jesters into Outer Space"
Wisława Szymborska, reluctant Nobel Laureate. Becoming a Nobel Laureate didn't really suit Wisława Szymborska (1923-2012). "What a catastrophe," she reportedly said upon learning she'd received the honor. She struggled with writing for several years after being thrust into the international public eye. I think it's fair to say she would have preferred never to win the prize. Of all the literature written and published around the world, only a trickle makes it into English, and even less of that makes it to the US. But at least we are more fortunate when it comes to poetry in Polish than in some other languages. Polish poetry has enjoyed a high status in the US since the 1960s, in part because of decades of advocacy and translation work by Szymborska's fellow Nobel Laureate Czesław Miłosz. 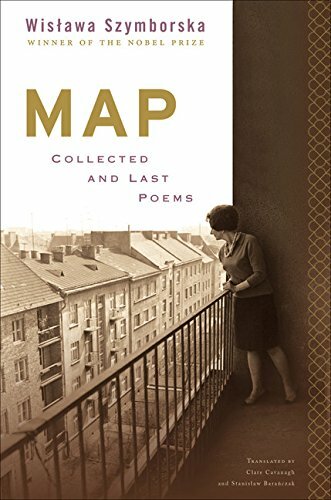 "His first 20 years in exile, he was known mainly as a translator," says poet Mira Rosenthal, translator of Polish poet Tomasz Rózycki, among others. "Miłosz wrote the textbook on Polish literature. Before that, in the US, Polish literature wasn't really differentiated from the study of Russian literature."